This eye-catching console table is a perfect bright and stylish addition to your home. The drawers and top of the table are finished with mirrors adding light and depth. The elegant legs curve together to meet in the middle. 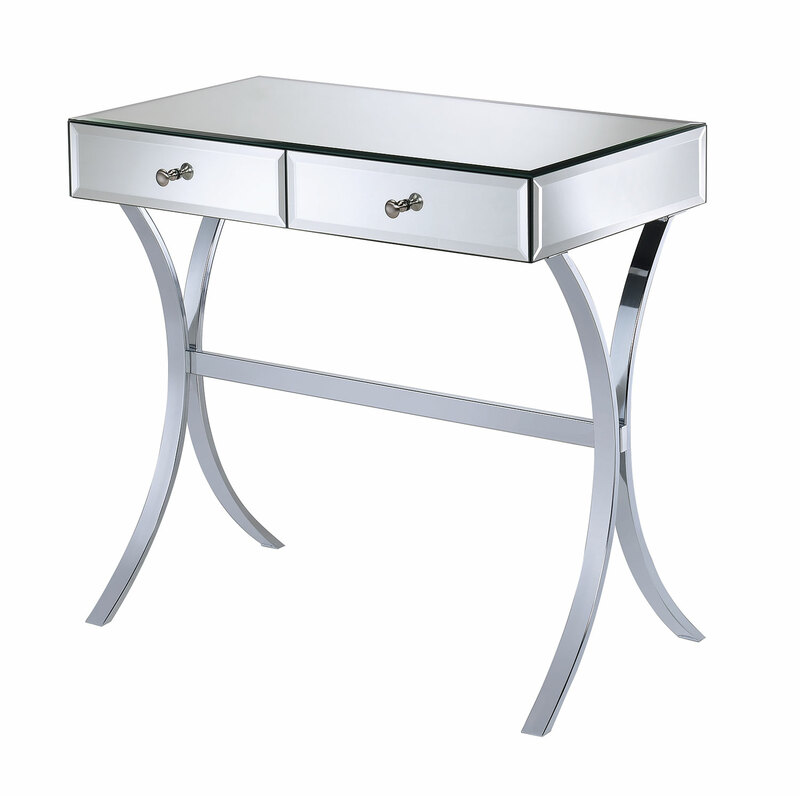 The Accent Tables Mirror Console Table by Rooms Collection Two at Rooms Furniture in the Houston, Sugar Land, Katy, Missouri City, Texas area. Product availability may vary. Contact us for the most current availability on this product.